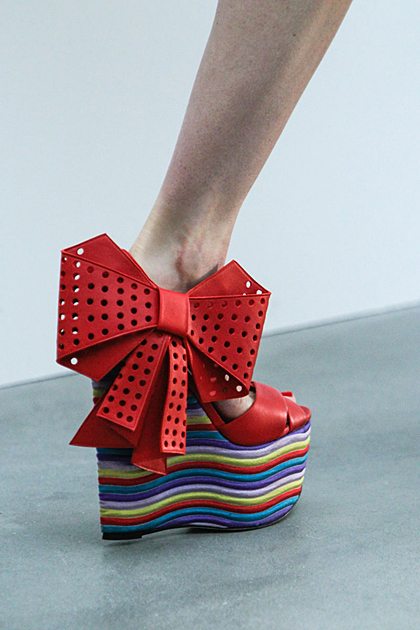 L'Wren Scott's awesome rainbow wedge with a massive bow. Printed heels at Mulberry. 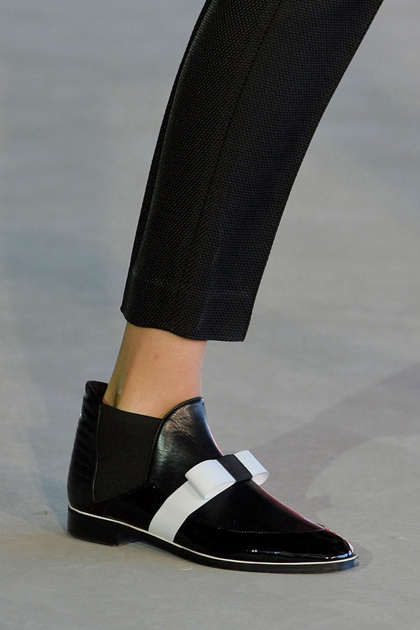 Chic flats at Roksanda Illincic - a perfect every day shoe. Thigh high lace ups at Tom Ford.